Try our free order estimator, which allows you to quickly create an order cost & lead-time estimate for all Moog Animatics products. Moog Animatics is pleased to announce the release of its new Order Estimator tool. 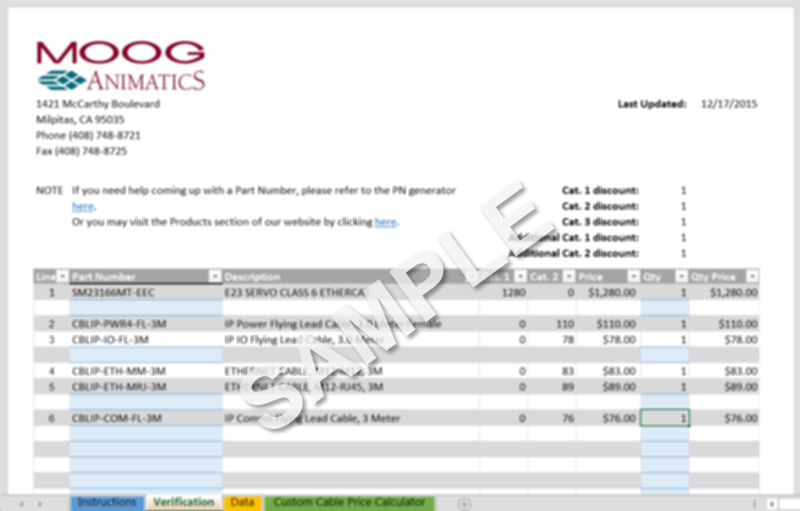 This tool, which runs as an interactive Microsoft Excel spreadsheet, allows you to quickly create an estimated order cost for all Moog Animatics SmartMotors, actuators, cables, power supplies and accessories. You received this email because you are subscribed to Marketing Information from Moog Inc..